It was great to see my art and forthcoming attendance at this years Cheltenham Festival gain some coverage in the regions leading style and leisure magazine Cotswold Life. 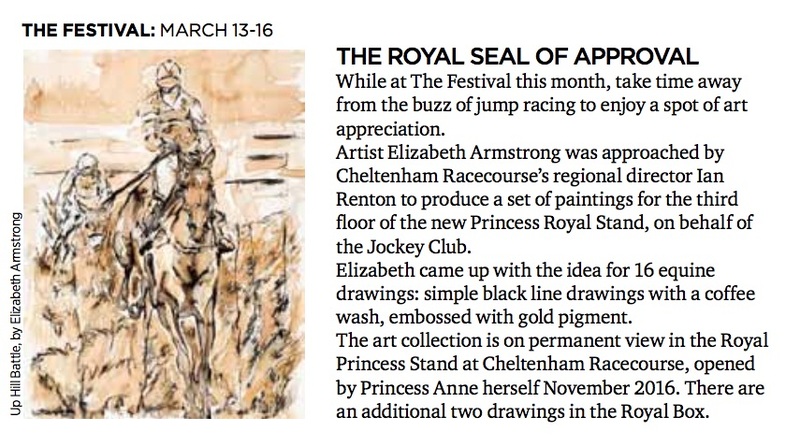 The magazine has been a great supporter of the Cheltenham Festival and artists like myself, so l was really pleased they gave me a bit of publicity and included one of my pieces of art in the March Edition. Pick up a copy whilst you are en-route to Cheltenham.